I've been using the Anastasia Beverly Hills Dipbrow Pomade for ages now and I've only recently hit pan, it is such an amazing eyebrow product and almost everyone uses it on their brows because it lasts such a long time and it looks so flawless. The shade that I use is 'chocolate' it matches my current hair colour which is a balayage so its got mixtures of medium browns, ash brown and some blonde but this was the shade that matched me the best. Recently loads of drugstore brands have come out with their very own version of pomades at a much more reasonable price and the one that I purchased was by NYX. Personally I do feel like NYX creates loads of dupes for high end products like ABH, I ain't complaining though everyone loves a bargain. I saw someone using it in a youtube video recently and thought I'd try it out seeing as its more affordable and NYX is now easily available to us here in the UK. 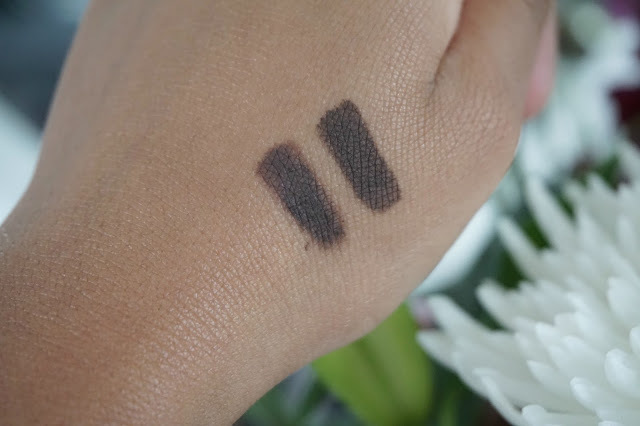 I was shocked at how much this was like my ABH Dipbrow Pomade - it was the closest dupe! NYX currently only have 5 shades to choose from,they did have a shade called chocolate on the website which I thought was going to be the same as the one I currently have seeing as they share the same name, but after swatching it in store it had too much of a red undertone to it so I opted for the shade Espresso which is exactly the same. I was so excited to find a dupe only because £15 for the ABH pomade is still a lot considering the fact that NYX Tame and Frame is only £5.50 and its an exact dupe to the shade I use. 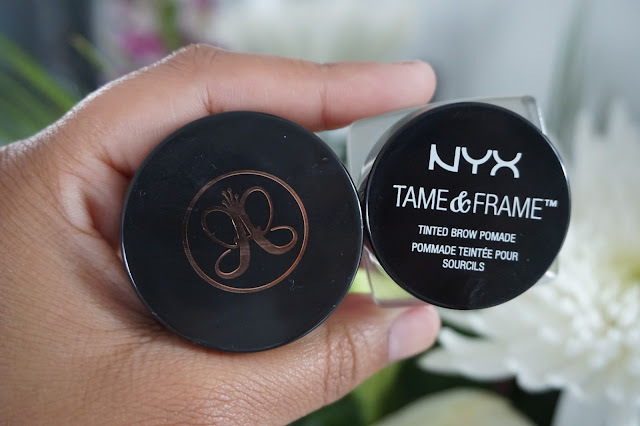 The only difference that I found in the two is that the NYX one is slightly more 'gel' like, it feels more slippery and also bare in mind a little does go a long way. 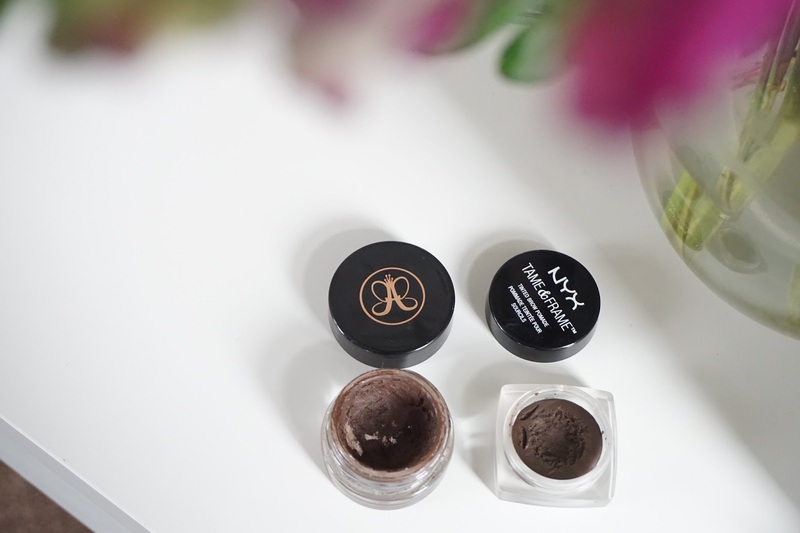 My ABH Dipbrow Pomade is a little dry now seeing as I've had it for a while but usually I just use a tiny bit of baby oil to revive it again, both products are amazing for the brows one is just cheaper than the other! Lovely makeup and brows! Thank you for comparing them.